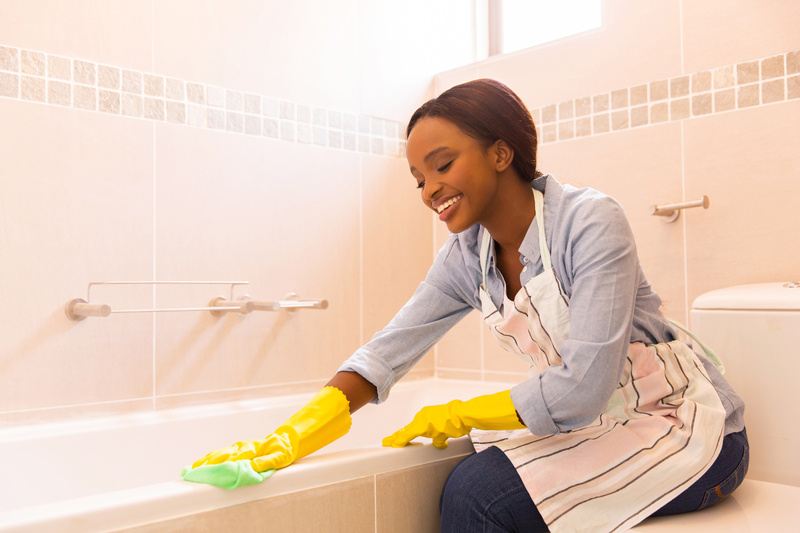 You can’t avoid it: bathroom glass cleaning will always be a part of your routine home cleaning. It takes extra elbow grease compared to other glass fixtures in the house. Since the bathroom is used very often, you’ll have to scrub it just as often. After all, this is where you go to clean yourself. Bathroom glass cleaning takes a little more effort because soap scum tends to accumulate over it, creating a waxy film that’s difficult to scrub. Hard water stains can also add to the mix. Over time, uncleaned hard water marks and soapy buildup can leave permanent damage on the glass surface. This cannot be easily removed even with strong chemical cleaners. If your bathroom glass doors and windows look cloudy, you have build up. Luckily, there are a number of easy, safe, and natural fixes that you can do to prevent this from happening. If you’re prompt and consistent with these methods, bathroom glass cleaning should be a breeze! After every shower, wipe your bathroom glass surfaces with a squeegee or microfiber cloth. 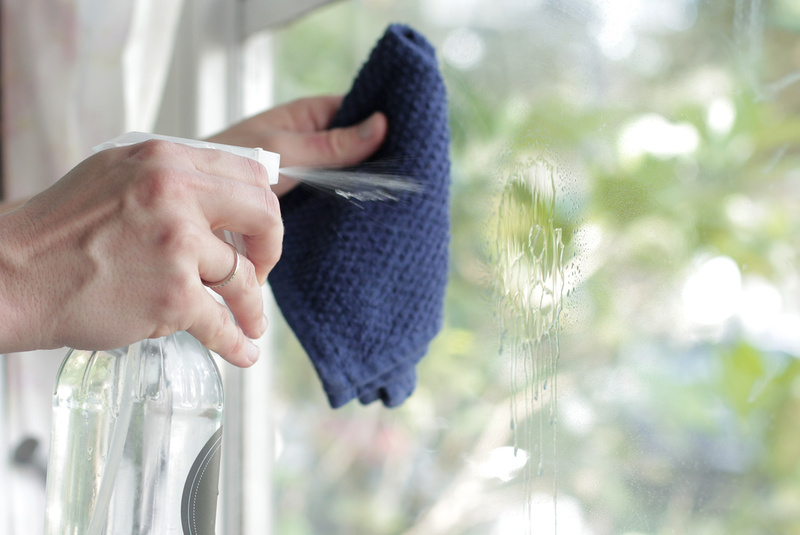 Once you’ve wiped down the glass, spray it with a glass cleaner made for daily use. Or use the following recipe. Combine these in a spray bottle, swirling gently (don’t shake!) and spray onto the glass as needed. When not in use, store away from kids and sunlight. 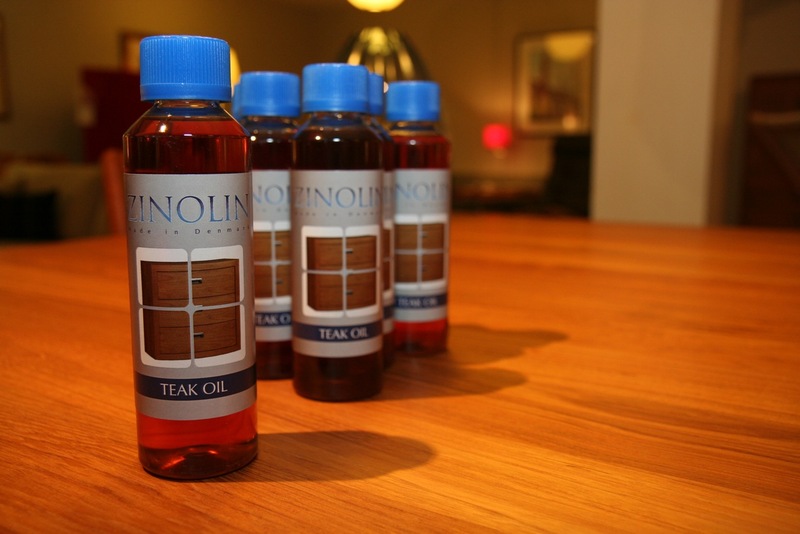 Alternatively, you can also use lemon furniture oil to help prevent soap and hard water buildup. Just wipe down the bathroom glass surface as you would, rub on some furniture oil onto the glass, let it sit for two minutes, then wipe off the excess. The oil should create a thin protective barrier over your glass, making it harder for soap scum to accumulate on it. The combination of baking soda, salt, and vinegar has been a tried-and-tested household cleaner over the years. 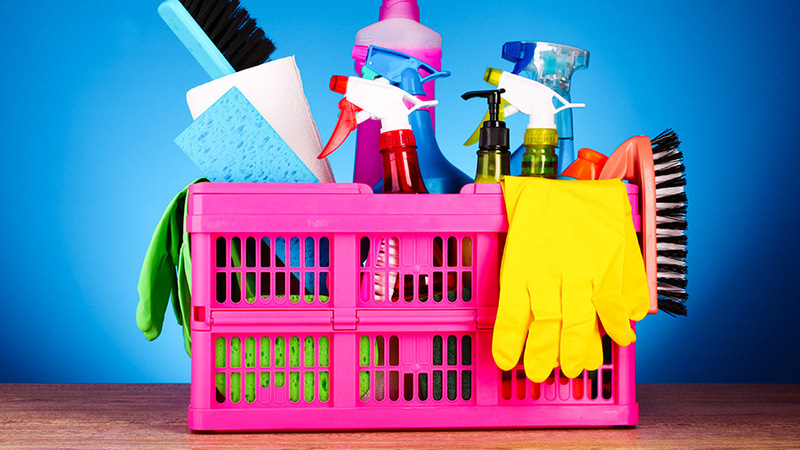 If you hate harsh chemical cleaners, try this. First, spray vinegar all over the bathroom glass and let it sit for about 5 minutes. Then mix equal amounts of baking soda and salt to make a paste, and use a moistened sponge or rag to rub this paste all over the surface. Rinse well. Say you’ve been busy and haven’t performed your bathroom glass cleaning as often as you should, deep-cleaning is important. 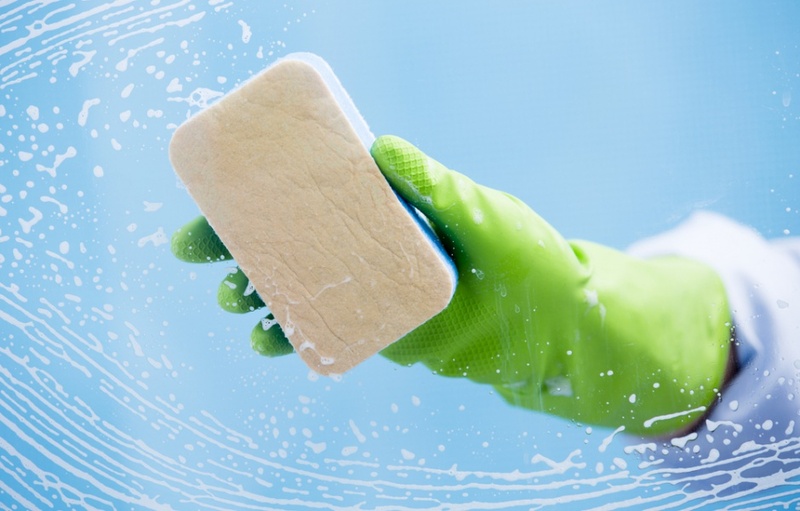 For scrubbing, you can use a Magic Eraser sponge or dryer sheets. Just dampen them and rub all over the bathroom glass surface. For soap scum residue, try a non-toxic degreasing cleaner like Krud Kutter. Or you can use vinegar that’s heated to almost boiling. 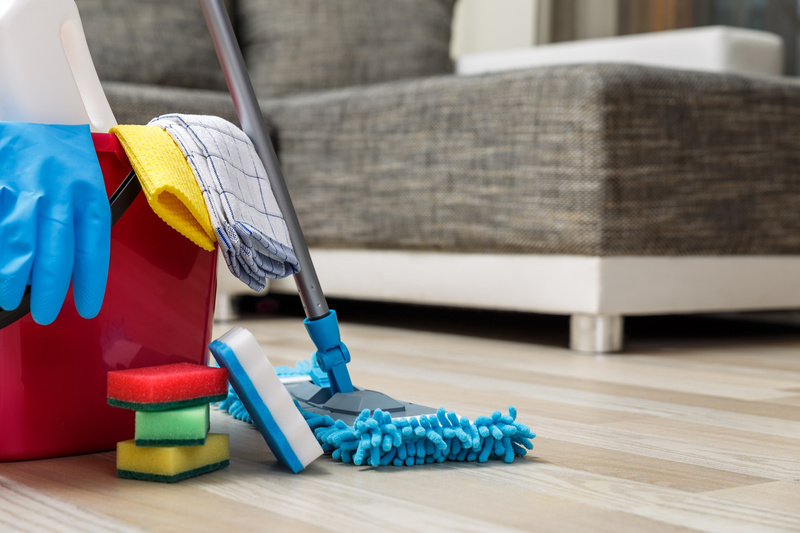 Just apply carefully to the grimy areas, let sit for 5-10 minutes, then scrub off with a wet nonabrasive sponge or rag. If you’re running on a hectic schedule and bathroom glass cleaning can’t always fit in your itinerary, head to the automotive department. Yes, you heard it right! 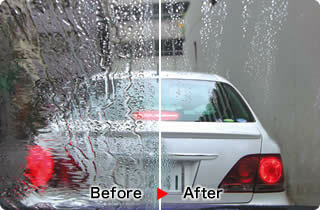 There are several products designed to repel water from car windshields and windows. The same concept works on your shower glass doors, walls, and windows too. Carefully spray the product onto your freshly cleaned bathroom glass – but avoid metal and tile surfaces, including your shower floor. Make sure you wipe off any excess drips along the edges. Reapply every three to four weeks. This method helps keep your bathroom glass surfaces stay free of scum and streaks for longer! Many bar soaps contain talc, which is what causes soap buildup in the first place. If you can, use a bar soap made with natural ingredients (minus talc), or switch to a liquid shower gel or cream. This will help reduce the amount and frequency of soap residue and hard water stains on your glass surfaces. Soap scum, stains, and streaks are normal in any shower with glass fixtures. Don’t sweat it, though! These methods are guaranteed to make your bathroom glass cleaning schedule easier and more efficient. Try them now.